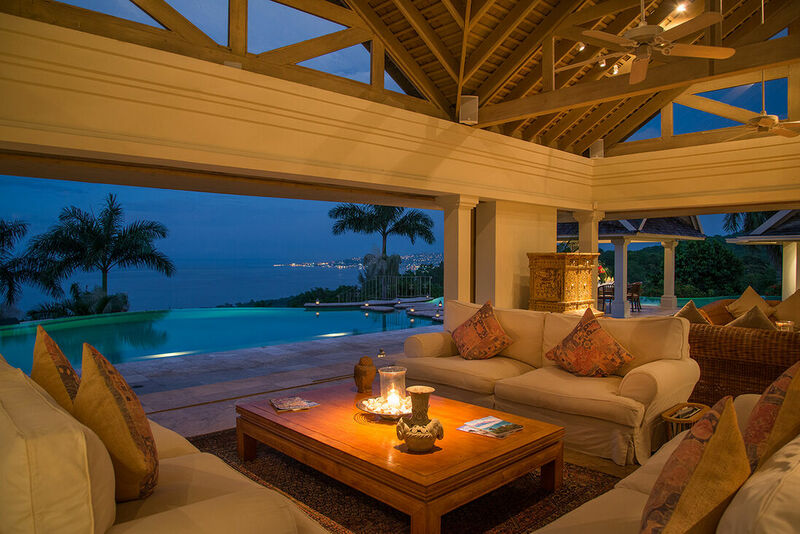 Silent Waters is one of the most glamorous private homes in the Caribbean. It is distinguished by world-class architecture and design, breathtaking location, and exquisite accommodations and service. The excellent staff includes the head chef, assistant chef, butler, housekeepers, night watchman, maintenance supervisor, gardeners, marketing assistant and property manager … 12 in all. 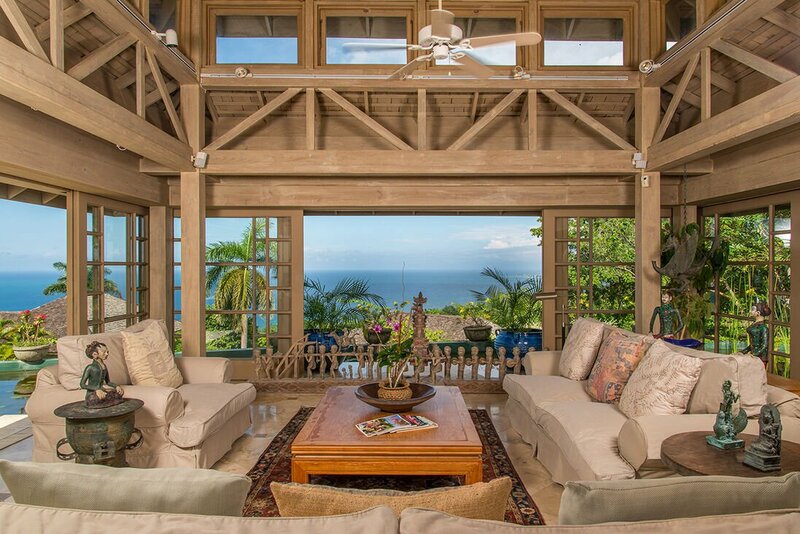 This property is 4.6 miles west of Montego Bay on the North Coast Road. 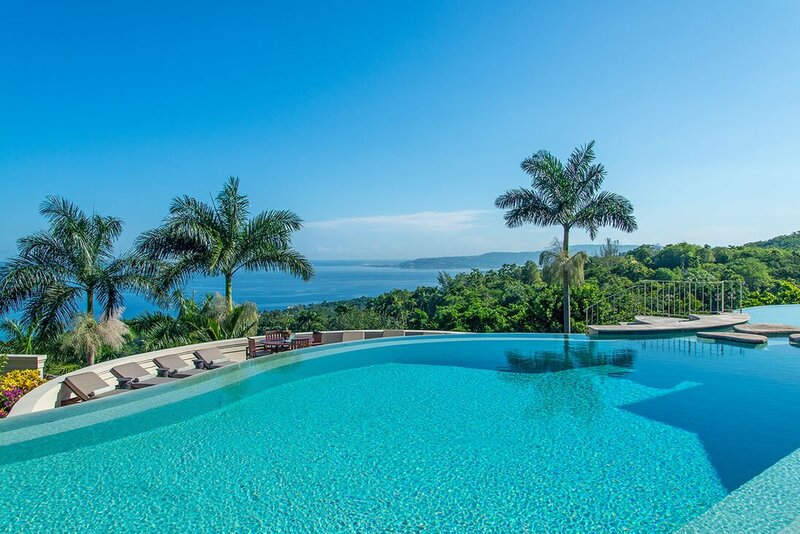 Located on one of the highest mountaintops overlooking Montego Bay and the Caribbean Sea, the site consists of 16.5 acres. Silent Waters consists of twelve buildings, helicopter pad and tennis court. 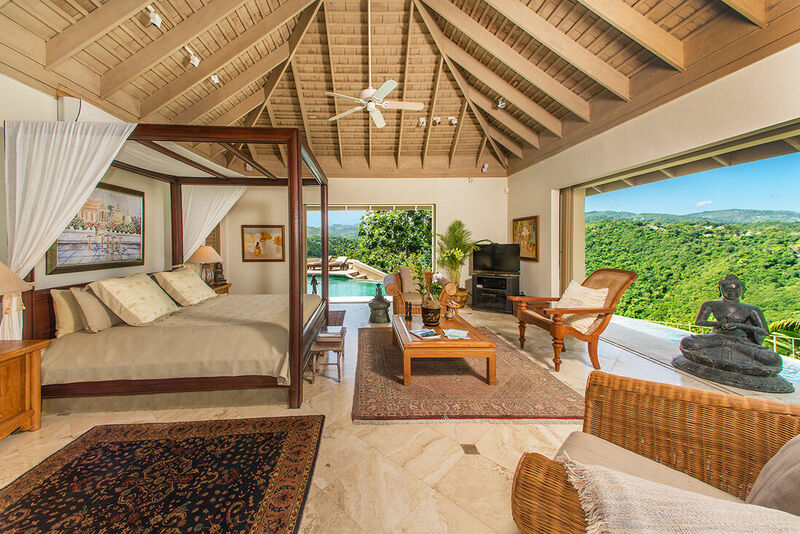 Five villa suites (7 bedrooms plus 2 lower levels, each with one full sof bed- air conditioned bedrooms) accommodate as many as 18 guests. 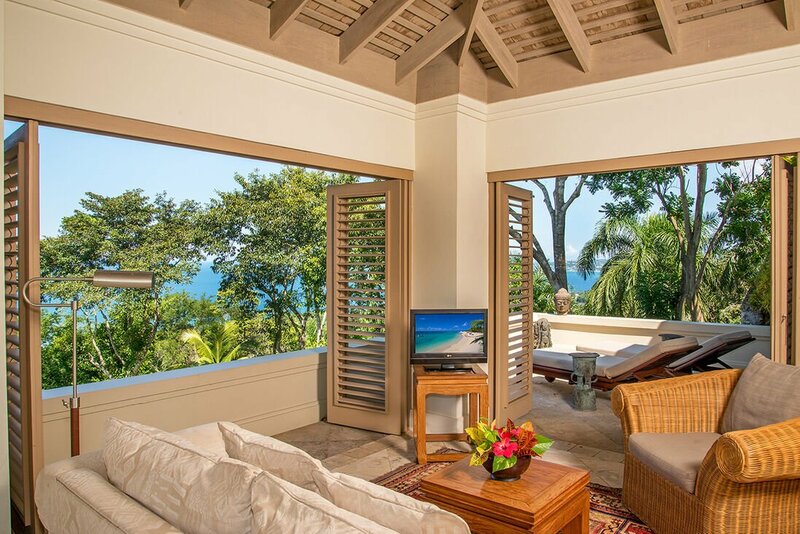 Addition of the owner’s private villa ( air conditioned- one bedroom) enables 20 guests. Plain paper fax machine, copier and scanner in main office. Brazilian granite wet bar with initial set-up, coffee maker, refrigerator and icemaker. NORSTAR digital telephone system with direct international dialing served by fiber optic trunk lines for maximum efficiency and clarity … voice mail … and intercom to all guest suites, bar, kitchen and property manager’s office. Wireless Internet in suites and most common areas. Antique Oriental rugs from the Middle East, China and Southern Russia. Original oil paintings from Indonesia and Thailand. 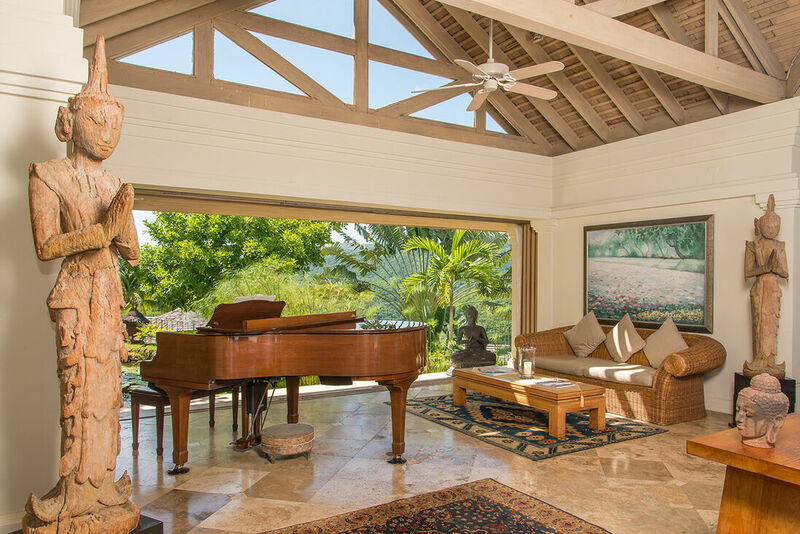 Louvered walls that open to magnificent views of Montego Bay, the Great River and heaven! 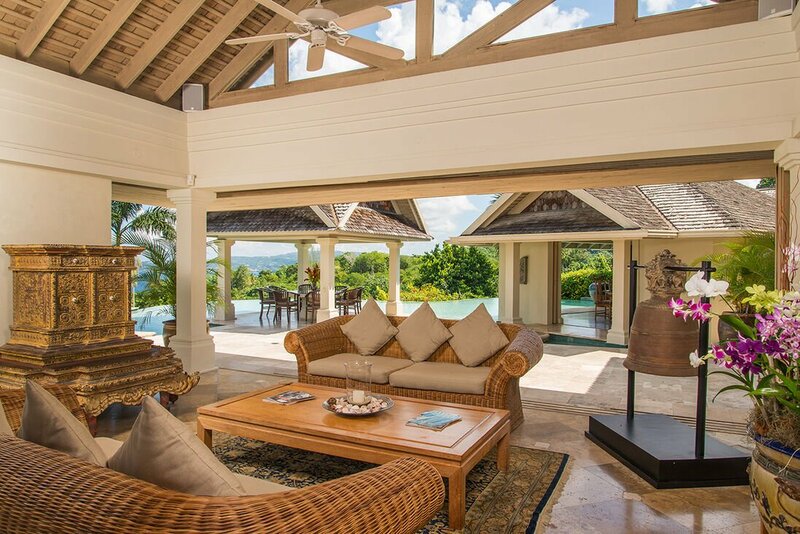 Private sunning terrace and teak chaises and tables. Sitting area and writing desk . 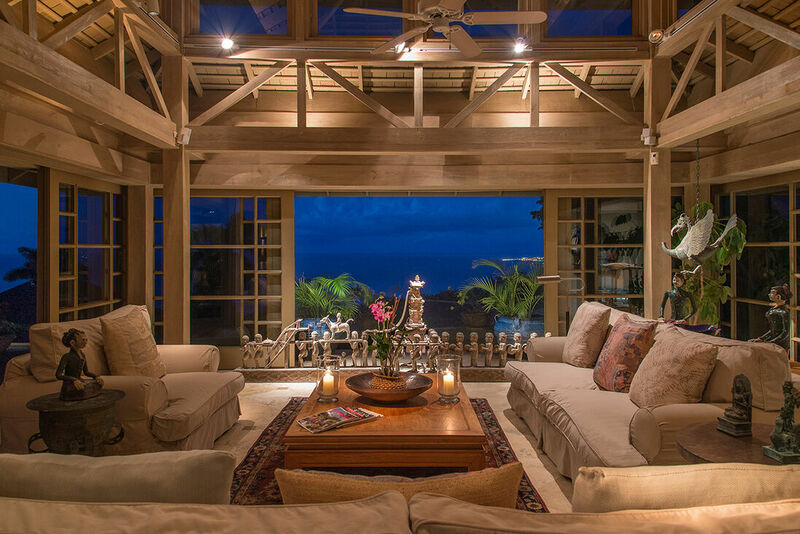 Remote control ceiling fans and air conditioning (seldom needed thanks to trade winds and river breezes). Glamorous marble and granite bathing areas. Additional bathtub and/or outdoor shower available in some suites. Heavily landscaped patios ensuring privacy from other adjacent villas. 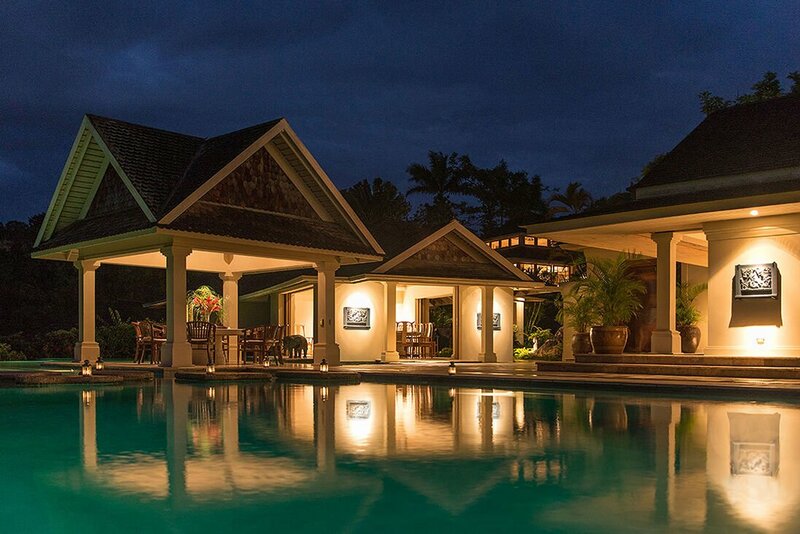 Superb location for family reunions, corporate retreat, weddings (54 sit down maximum), receptions (150 cocktail style), yoga retreat, and more ...White sand beaches, beach bar and restaurant, water sports and golf nearby. 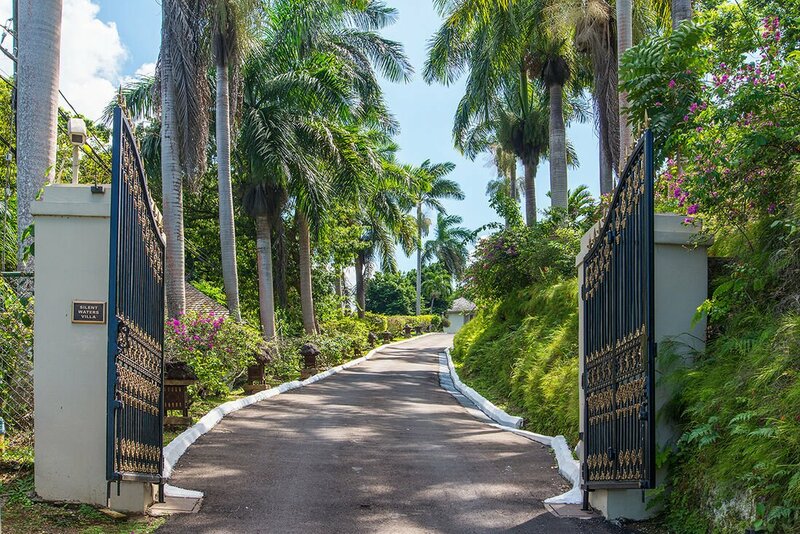 The paved entrance road is elegantly landscaped with stately Royal Palms. 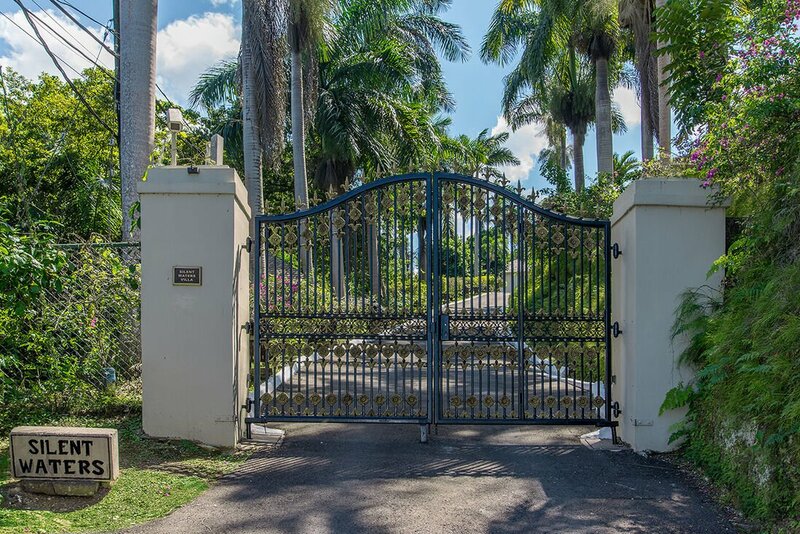 Black and gold wrought iron gates designed by the owner and brought from Thailand mark the entrance to the property. 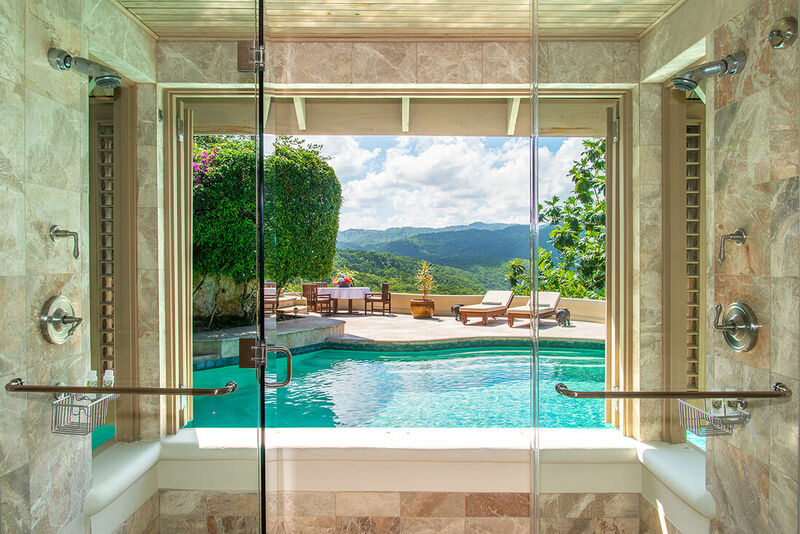 Hand-carved teak doors from Bali lead to multiple interior areas in textures of Travertine marble, Brazilian granite, cedar and teak. Colorful gardens are accented with ancient carved Balinese, Burmese, Thai and Chinese statuary. 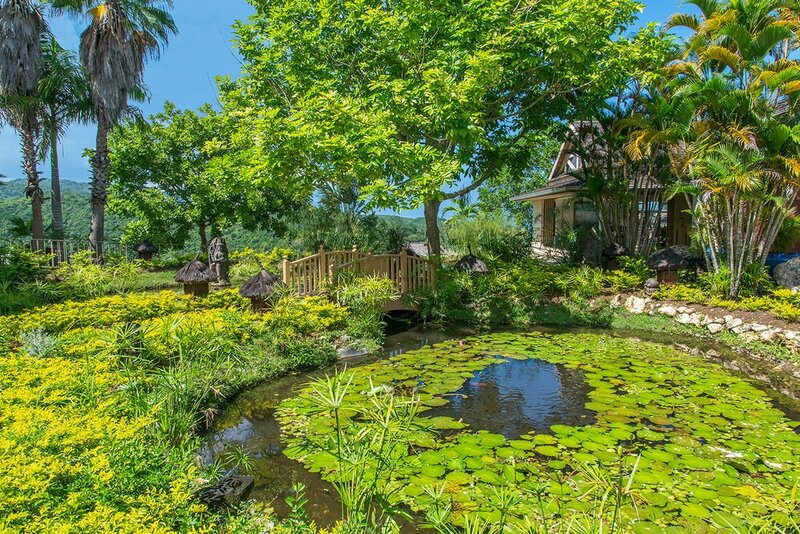 Serene lily ponds and turquoise pools stocked with Koi fish, separate various living spaces within the villa compound … heavenly for yoga retreat. Privacy is assured. 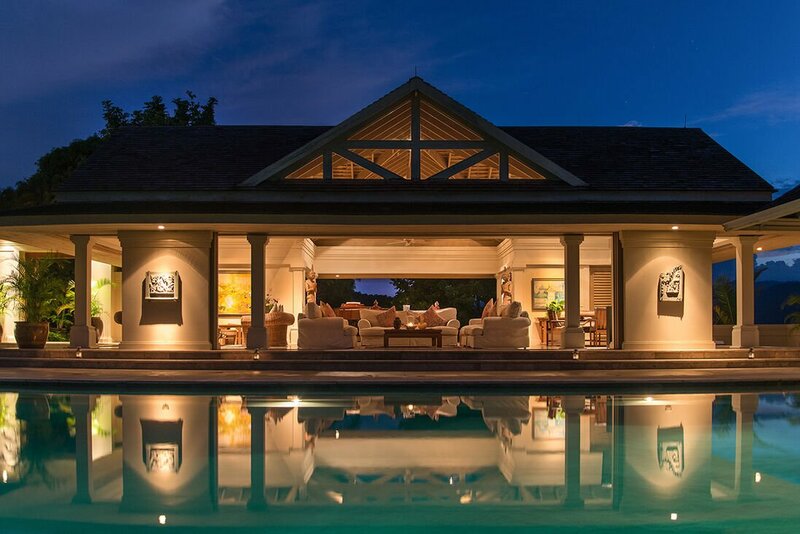 Sophisticated electronic security and video monitors ensure that only invited parties may enter the villa compound. The hub of the villa compound is the 900-square-foot Main Pavilion. 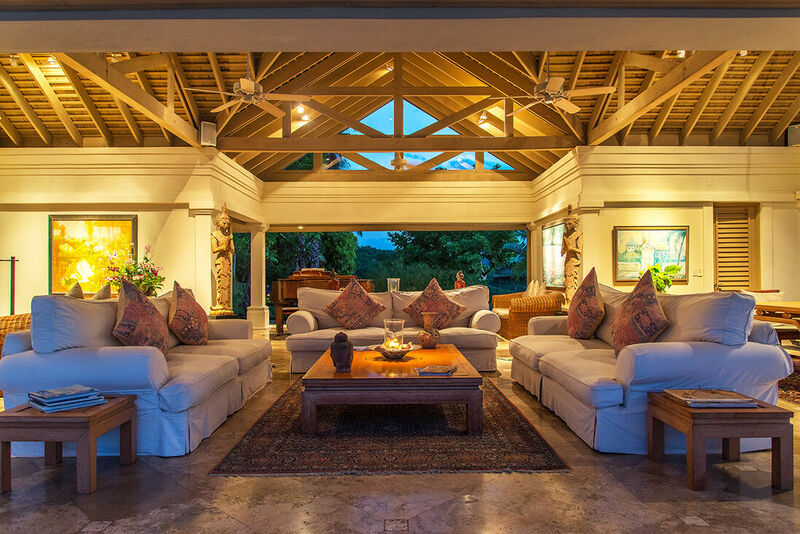 A few steps across the terrace are the breakfast gazebo, dining room and open-air bar with television with DVD and cushioned seating for 22. 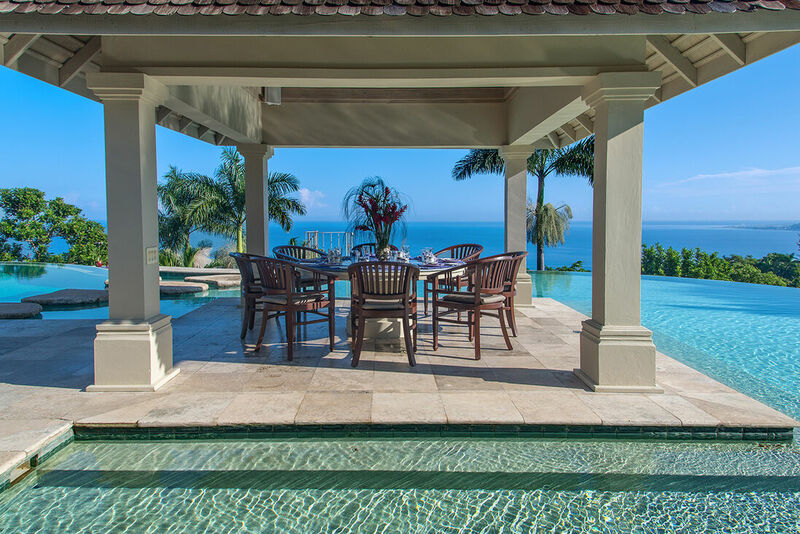 An 80’ infinity edge reflection pool wraps around the al fresco breakfast gazebo and dining pavilion. A garden path leads up the mountain to the very private owner’s villa which accommodates two more guests. 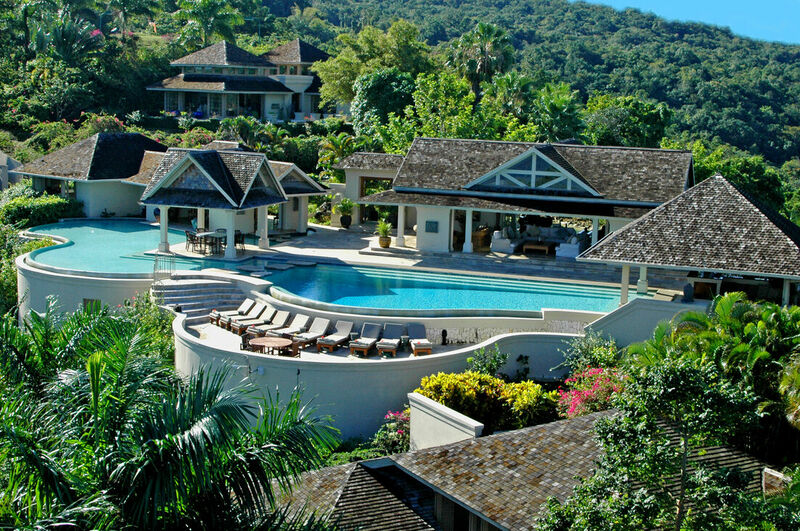 Maximum occupancy at Silent waters including the owner’s villa is 20 guests. The Head Chef is one of Silent Waters’ greatest prizes. 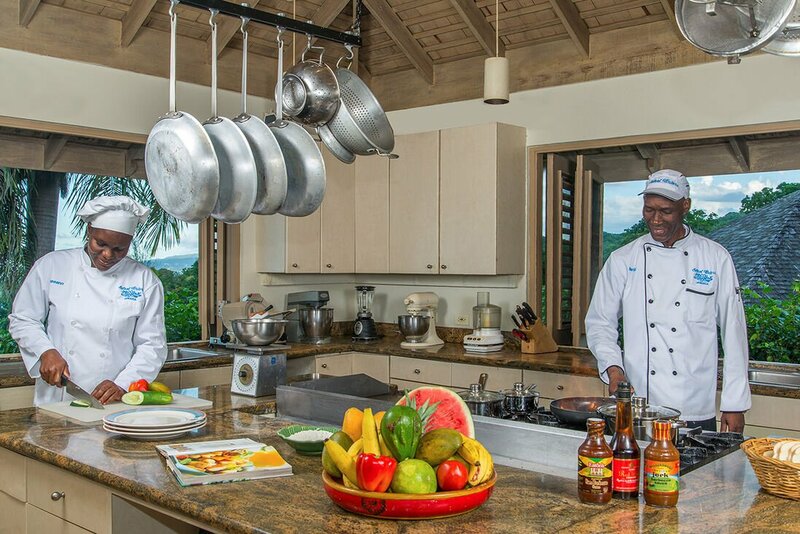 From his state-of-the-art commercial kitchen and grill, he creates a repertoire of artistically presented Continental, Nouveau and Caribbean cuisine. 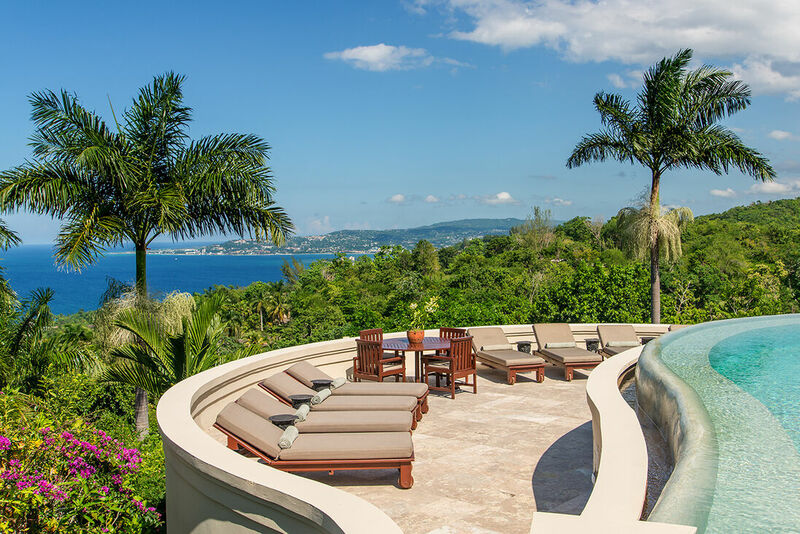 The dining pavilion is located in a wraparound reflecting pool and has a 330-degree view of Montego Bay and the sea as well as the exquisitely landscaped grounds. 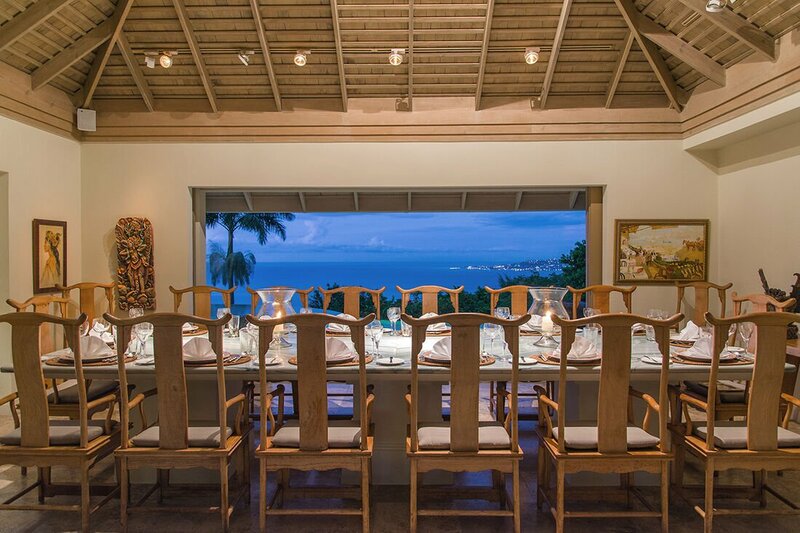 The dining table is a rare rainbow-colored 15-foot slab of Brazilian Bahian granite. Seated dinners here can accommodate 16 guests. 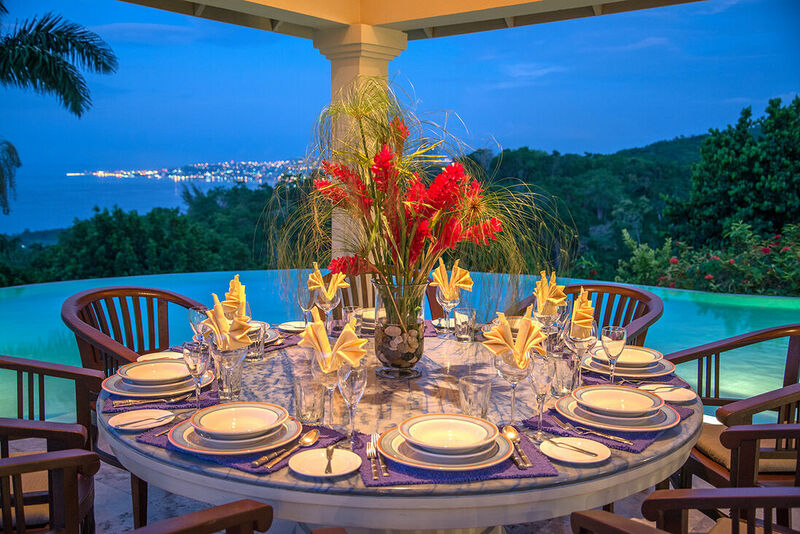 For more casual dining, the Gazebo commands a 360-degree view and can accommodate nine guests for seated meals. 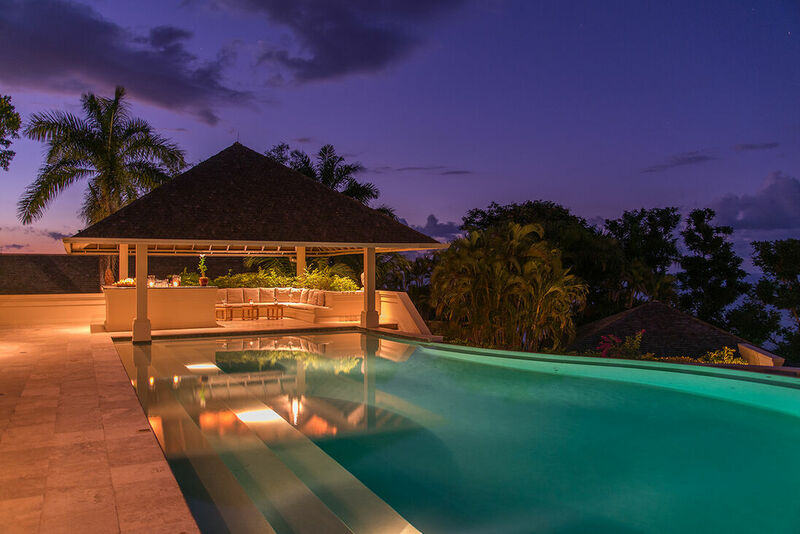 A spacious bar and entertainment area around the pool enable hosting of an intimate cocktail party … seated dinner for 54 guests … or a gala al fresco cocktail party for 150 guests or more. Event costs vary depending on menu and guest count. 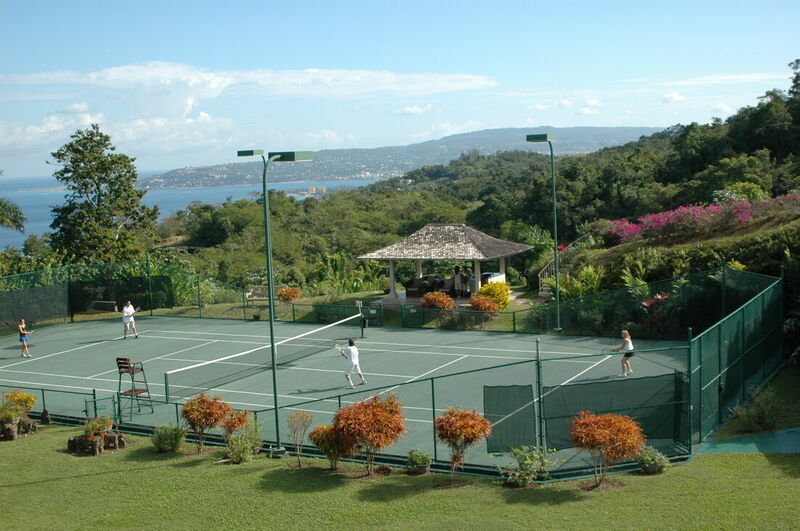 On one of the highest plateaus overlooking most of the property is the “world class designed” private tennis court built by the Jamaican Davis Cup Pro, Richard Russell. It is constructed of DecaTurf, the multi-layer cushioned surface of all of the U.S. Open tennis courts and is lit for night play. 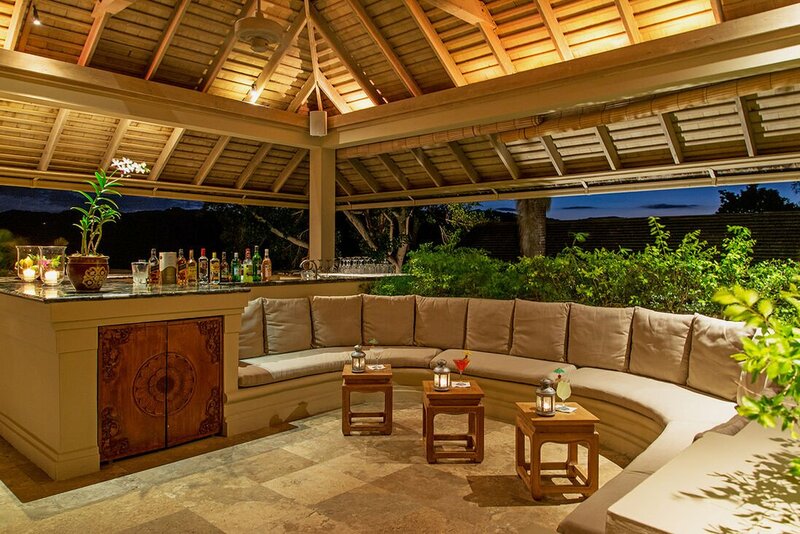 The viewing pavilion has comfortable seating and a granite wet bar and fridge stocked with cold drinks. Rackets are available for the guests. 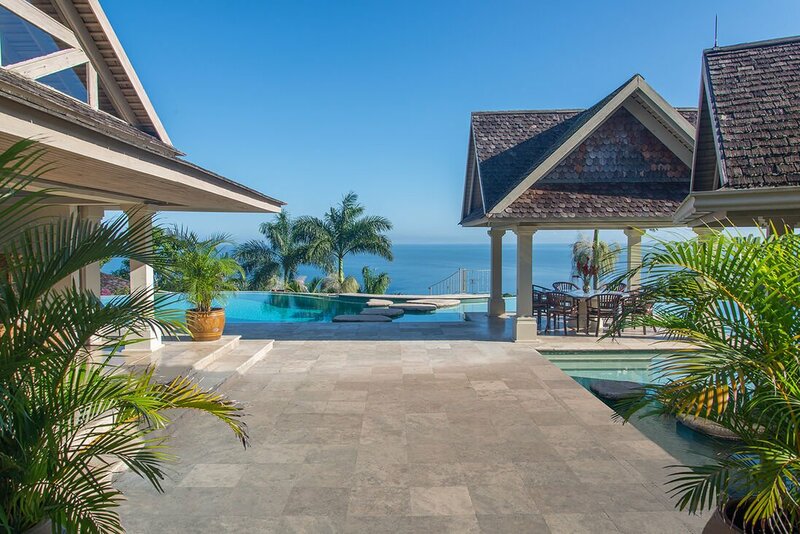 For the tennis aficionado, the court’s design and views are unmatchable. 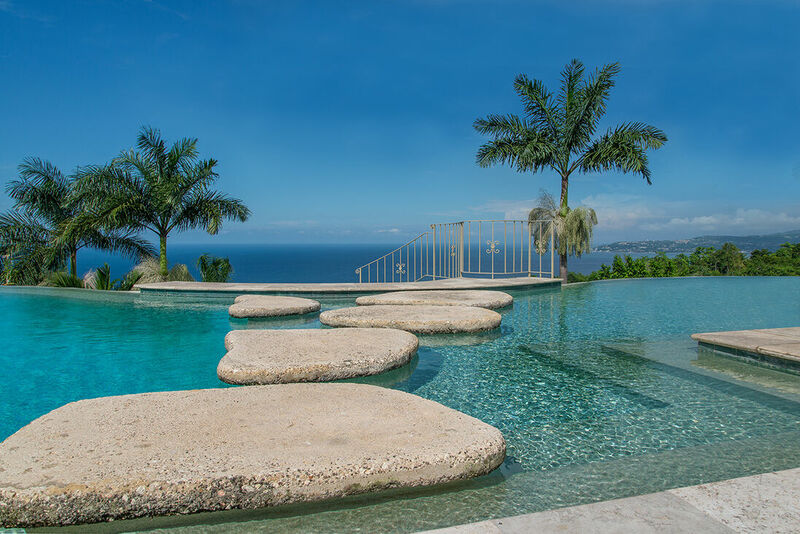 From this spot, steps lead to the Silent Waters lighted helicopter pad on the property’s highest elevation. 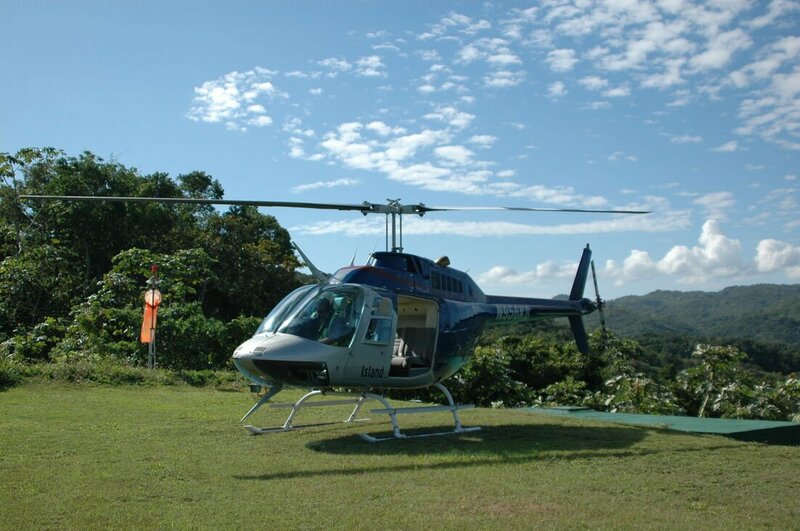 Other Information: HELIPORT: Capable of accepting 8-seat Jet Ranger, located at the highest point overlooking the property for those wishing to arrive/depart via helicopter, or to be picked up for breathtaking air tours of Jamaica. Multi-directional takeoff and landing is available. The heliport is equipped with lighted windsock and lights for night landings. Silent Water's Low season rates start April 16th. 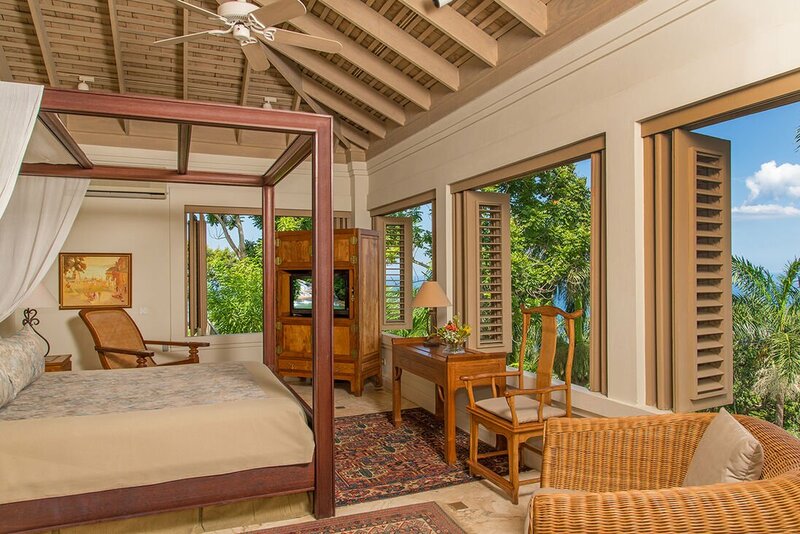 Guest rooms consist of 5 individual detached villa suites plus the owners villa, each under separate roof, which can accommodate a total of 20 guests. Summary of beds: 4 kingsize beds, 6 queensize beds, 1 queensize sofa bed, 2 full size sofa beds. Separate entrance and heavily landscaped – very private. Short walk up hill to tennis court and helipad. Full kitchen with refrigerator/freezer, cooking range, coffee maker, microwave and toaster oven. Meals served by staff from main house. Antique Oriental rugs from Middle East, Eurasia and Russia. All rooms air-conditioned and most rooms with ceiling fans. Entrance hall opening to waterfall and surrounded by pond stocked with Koi fish. 3 walls of sliding glass pocket doors. 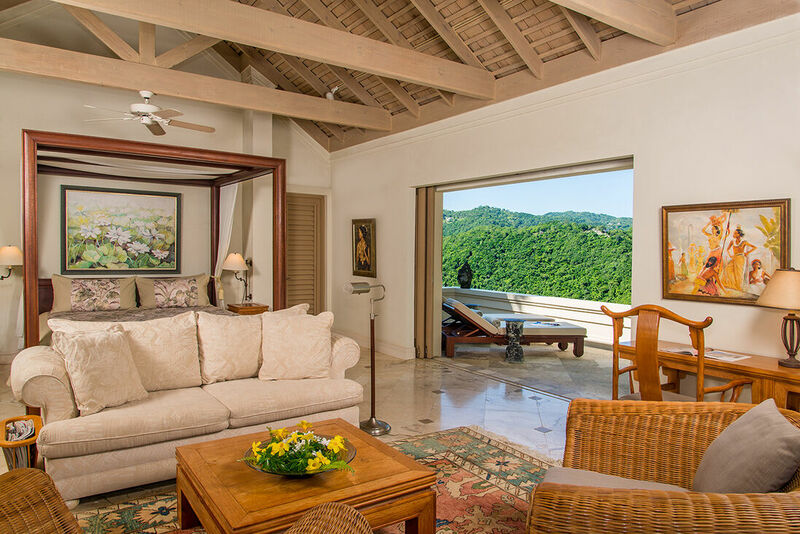 Spacious room with dramatic view of Montego Bay and Caribbean Sea. Dining alcove with sculptured glass dining table. LED (HD) / Internet /HD Smart Internet TV. 19-speaker sound system to living room, iPod docking station, bedroom, bathroom and pool. Music library of 200 indexed CD’s. Surrounded on 3 sides by lily pond. Indonesian, Thai and Chinese antique art, statuary and sculptures throughout. Spacious room with Kingsize bed. 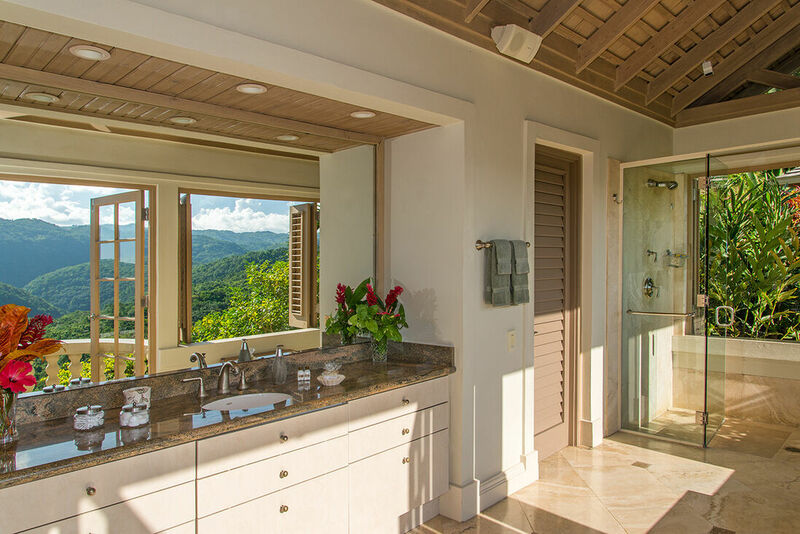 Bathroom with 2 granite vanities, bidet, large indoor-outdoor glass and marble double shower with his-and-hers shower heads and open to pool. 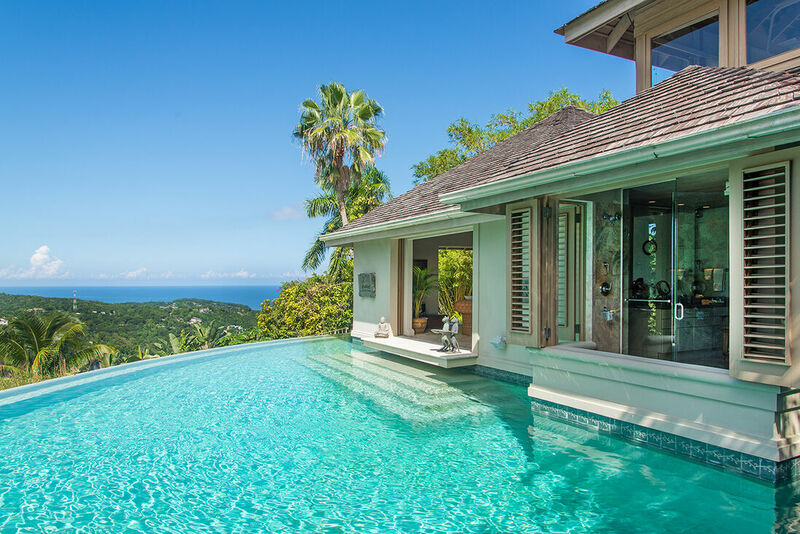 Infinity edge pool wraps around bedroom and bathroom. Access to pool from bedroom and / or sun deck. Sun deck, 4 chaises, umbrella table, Concept II rowing machine. Suitable for a single family or two couples. Downstairs: Queen-size bed, sitting area, wet bar. patio and chaises (sleeps 2 adults). Shared Bathroom (upstairs): Spacious detached room with large glass and marble shower. 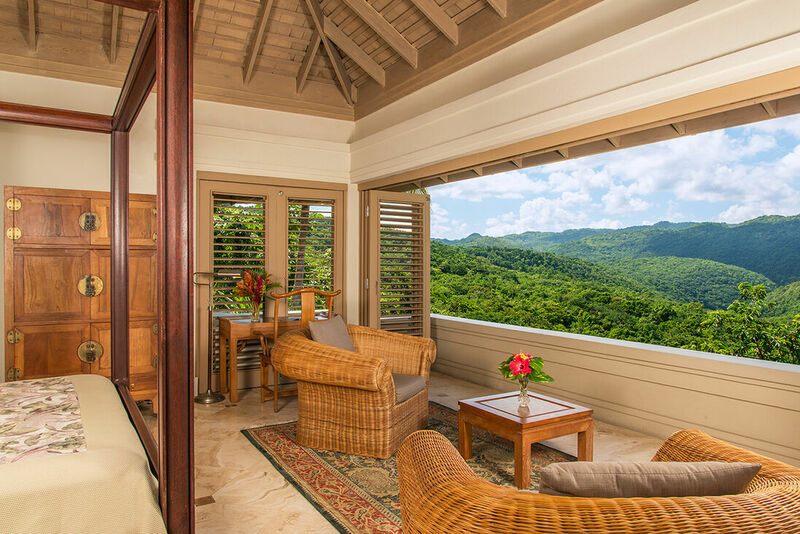 View: Panoramic view of the Great River Valley (Jamaica’s second largest river), high green mountains and pristine forests, partial sea view. Suitable for a family or two couples. Down 13 stone steps … similar to Villa Suite 1. (sleeps 2 to 4 adults). Downstairs: Queensize bed, sitting area with additional queensize hideaway sofa bed, HD Smart Internet TV, wet bar, patio and chaises (sleeps 2 adults / children). Shared Bathroom: Spacious detached room with large glass and marble shower. View: Panoramic view of the Great River Valley, high green mountains and pristine forests, partial sea view. Guests occupying lower level suites 1 & 2 share a detached bath with upper level guests. 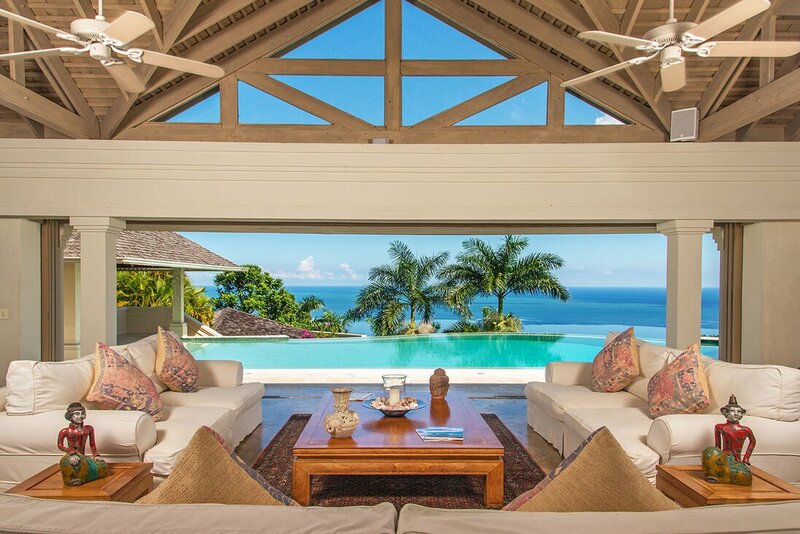 Owner’s Villa is available for an additional $841 per night with a minimum rental of 1-5 suites. 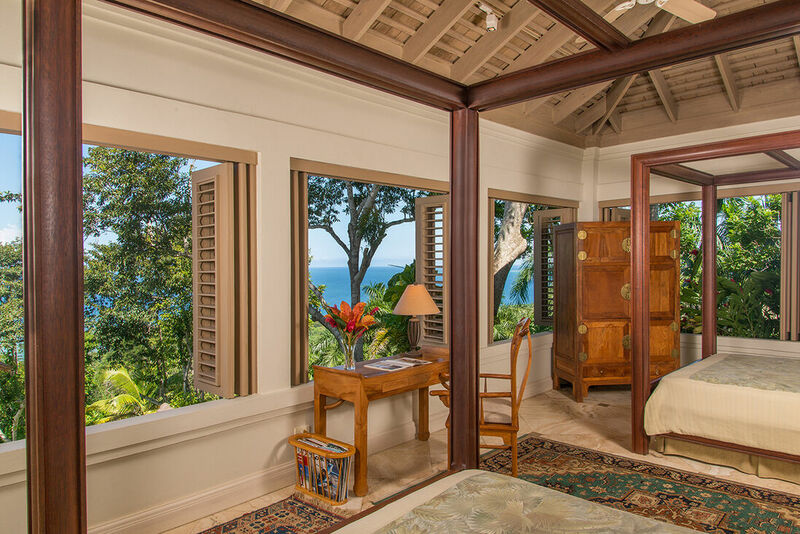 Minimum 2 nights rental required in low season; 4 nights required in high season; 5 nights -(arrival or departure date must be on a Saturday or a Sunday)" required for Thanksgiving week and 7 nights required for Christmas / New Year weeks. (arrival or departure date must be on a Saturday or a Sunday)"
FOOD AND BEVERAGE: Guests may choose the grocery option or our prepaid gourmet meal plan. With either option we will work with you to determine the types of delicious meals you would like during your stay, as well as discuss any allergies and/or special dietary needs. Please note that wine, liquor, soft drinks and bottled water are purchased from Silent Waters' liquor, wine and beverage inventory and are billed separately, as well as fresh fruit used at the bar.. Additional charges apply for cocktail parties and other guest-hosted events. GROCERY OPTION: If choosing the grocery option, plan to pay for groceries locally in cash or by Visa or MasterCard where accepted by vendors. A typical grocery budget is about $100-$110 per adult per day and young children about $45-$55 per child per day depending upon the type of menus selected. Shrimp, lobster and imported meats or large quantities of other food items will increase the budget. There is a $12.50 per person service charge, per day if you opt for the Grocery plan. The $12.50 fee charged per adult per day covers the cost of trips to the grocery store. PREPAID GOURMET MEAL PLAN: With our prepaid gourmet meal plan our chef will prepare breakfast, lunch, pre-dinner hors d'oeuvres and dinner based on our elegant gourmet menus. The cost for this gourmet meal plan is $115 per adult per day and $57.50 per child (ages 3-12) per day (rates do not include 10% GCT). Children under 3 are complimentary. TRANSPORTATION: We will be happy to arrange airport transfers and transportation for you during your stay. The costs for a full-time private driver for one week (includes airport transfers and 1 complimentary tank of gas) are: 12-seater van - $975 ($140 per day, minimum 4 consecutive days, 1/2 tank petrol); 16-seater van - $1,300 ($185 per day, minimum 4 consecutive days, 1/2 tank petrol); 25-seater van - $1,650 ($240 per day, minimum 4 consecutive days, 1/2 tank petrol). For round trip airport transfers only (Sangster International Airport in Montego Bay), the cost is $80 round trip for 1-4 guests and $20 for each additional guest. Guest count exceeding 7 passengers plus luggage requires a second van and additional transfer fee. Child car seats are available for rental at USD 16 per round trip airport transfer or USD 50 per week. For excursions to Negril, Ocho Rios, Black River or YS Falls a 25-passenger bus is available for $350 per day. Driver services must be prepaid with final villa payment. Please budget 15% gratuity to these rates for the driver. Please tip airport baggage handlers or porters directly at the airport. 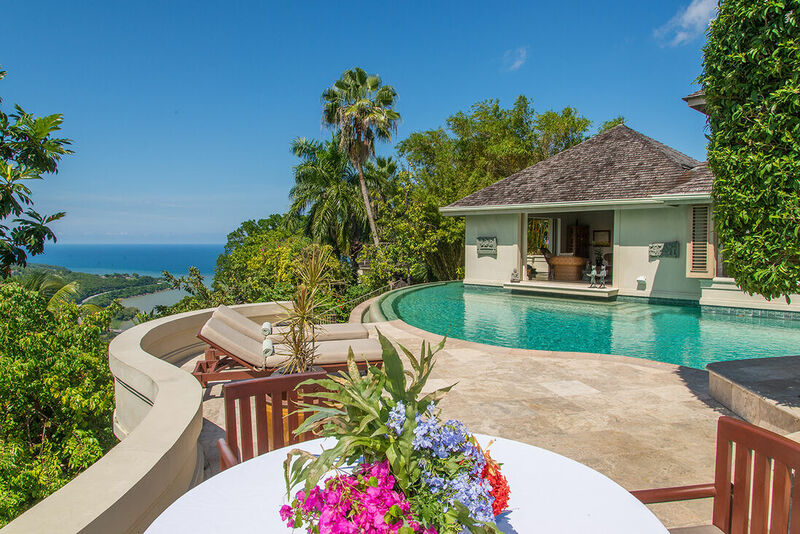 SPECIAL EVENTS: One-day special events, such as weddings, with no villa rental are welcomed at Silent Waters Villa when dates are available, but are limited to Saturday or Sunday. All special events are subject to a $3,000 location fee. 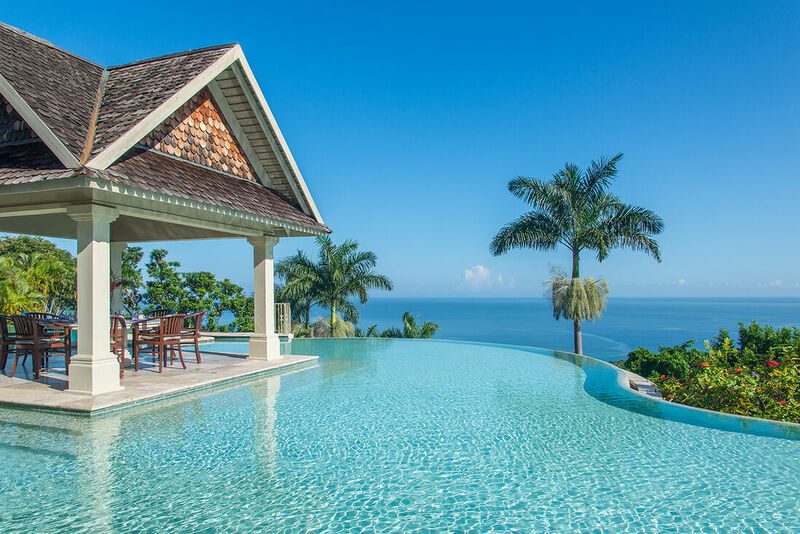 This fee is waived for guests satisfying a minimum $17,374 (excluding tax) in low season and $23,443 (excluding tax) in high season. rental requirement. A set-up fee of $12 per person ($600 minimum) for the use of linens, tables, chairs and serving stations will apply. 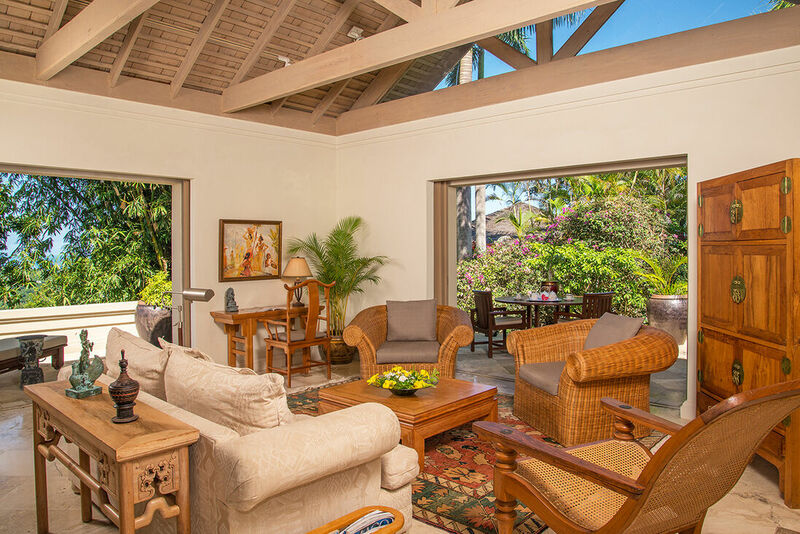 TRYALL CLUB: We are excited to now offer our guests access to the Tryall Club during their stay through our Tryall Club membership. 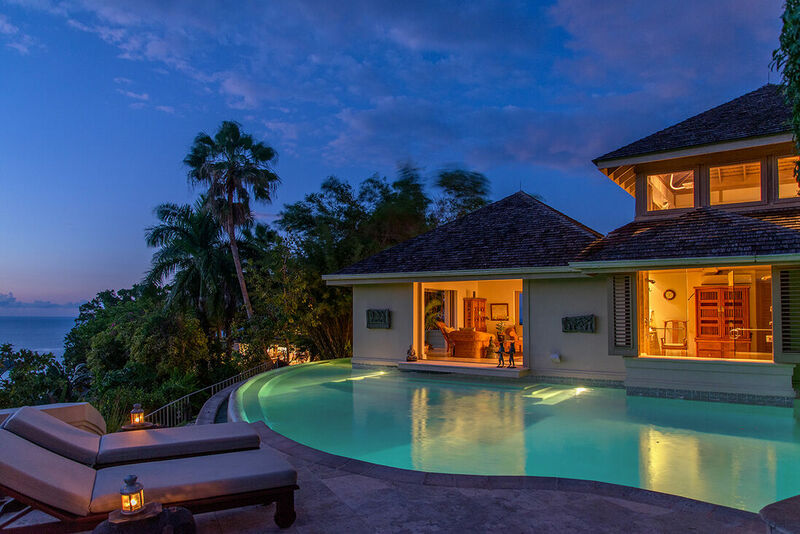 The Tryall Club is located about 15 minutes by car from Silent Waters Villa. 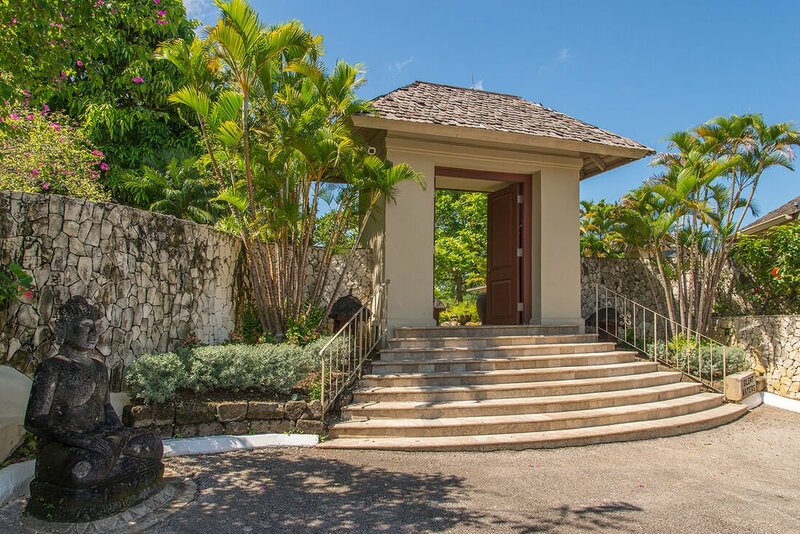 The Tryall Club, which is situated on 2,200 acres of land offers one of the most beautiful golf courses in the world and has been home to the Johnnie Walker, Mazda and other PGA championship events. Private lessons and workshops are offered by Tryall Club pros. Membership includes access to the beach and to the Beach Café and Bar which is a delightful lunch venue offering indoor and outdoor seating. 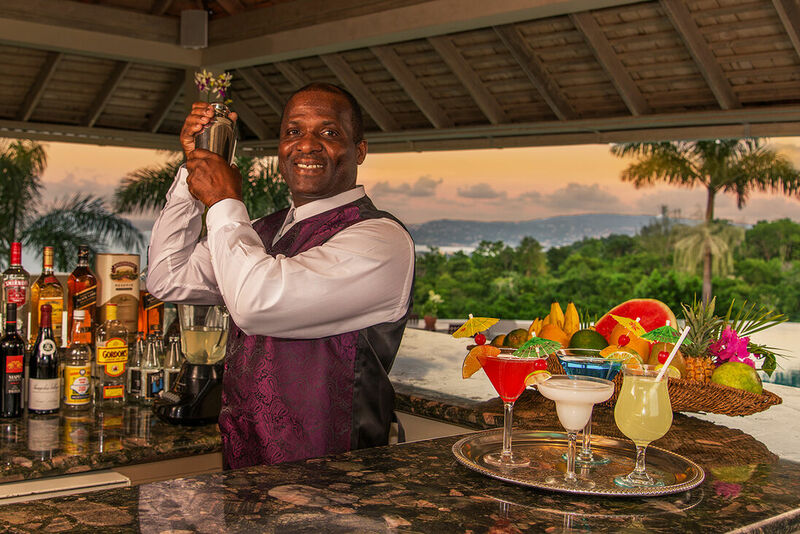 During the high season the Beach Grill is open and offers beach delivery service together with drinks from the adjacent Rum Bar. 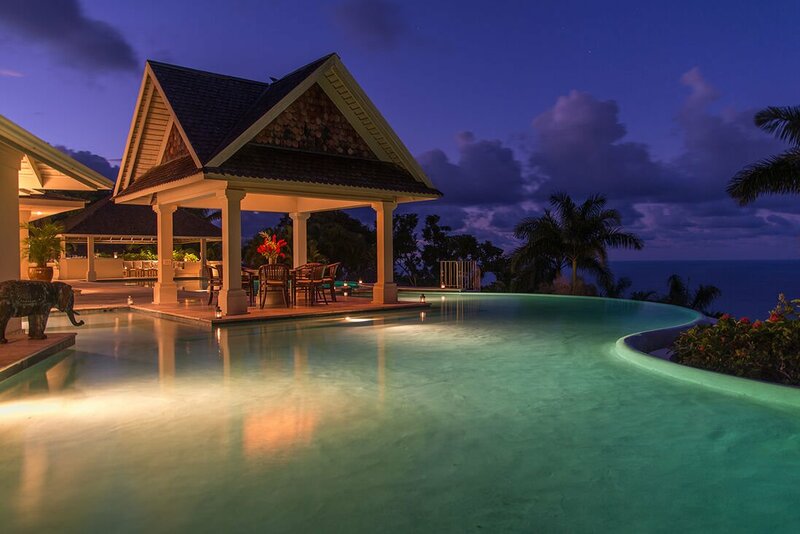 In the evening, guests may enjoy the Monday Night Beach Barbeque and Reggae Night on Thursday nights. 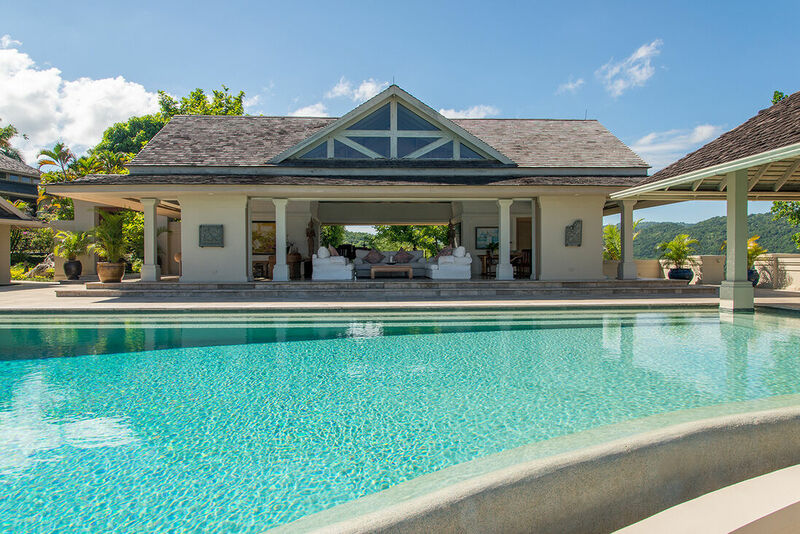 Also available at Tryall Club is the Hummingbird Kids Club, Internet room and the new Usain Bolt Games Room, a well-equipped gym, marked trails for jogging and tennis on one of the nine Nova Cushion courts. Snorkeling, kayaking, Hobie Cat and Sunfish is complimentary and glass bottom boats, charter fishing, a boat to the reef and any captained craft is available for a fee. 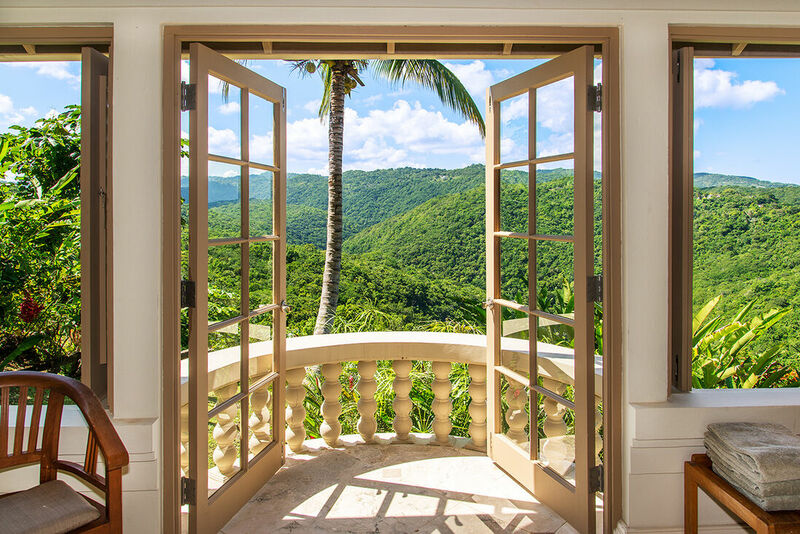 When it is time to relax, enjoy afternoon tea which is served on the veranda and terrace of the historic Great house, or browse at the commissary and boutique or the Gallery of West Indian Art where a host of Jamaican, Haitian and Cuban works and souvenirs can be found. Note: 1. Guests occupying lower level suites 1 & 2 share a detached bath with upper level suite guests. 2. 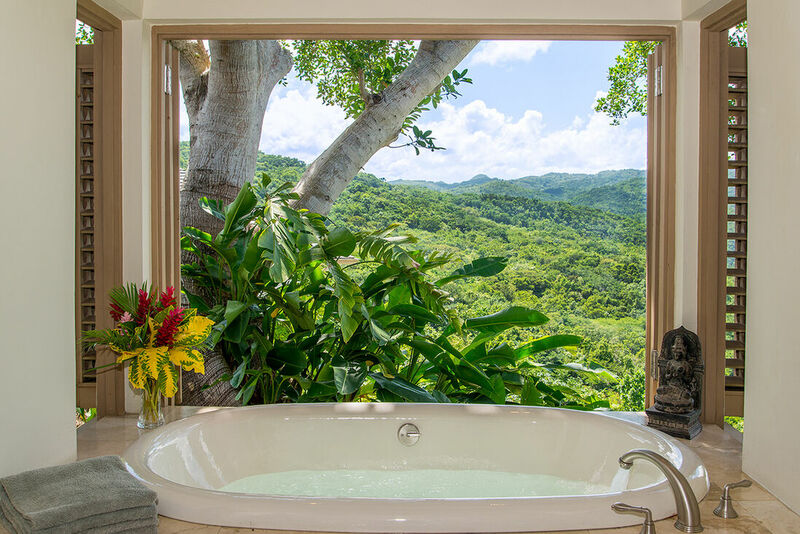 Guests occupying lower level suites 4 & 5 share an en-suite bath with upper level suite guests.